Verifying employment is a very good step. Another way that you could feel more confident is to ask for a guarantor — a co-signor on the lease, who will pay in the event the tenants skip out on the rent or cause damage. 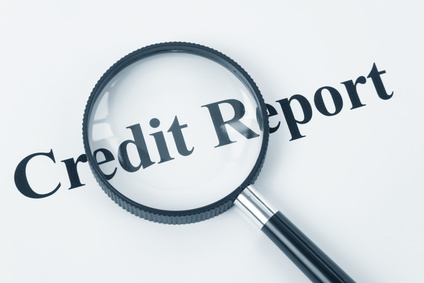 The guarantor will need to be someone with a positive credit report and an established presence in this country so you can collect against their assets if need be. It is important that you require other applicants without credit or a landlord reference to provide a guarantor, in order to avoid discrimination claims. It is also possible to ask for references other than landlords. The preference would be creditors over personal references, which don’t carry much weight with many landlords. Don’t avoid tenant screening because you perceive the applicants won’t have credit or references — you will still want to verify as much information as possible from the rental application. Do be aware that if they present you with a SIN that does not start with 9, then they have been in the country more than two years — and the claim that they are recent immigrants may be a scam to cover up a bad credit history. There is also an issue here of whether denying a rental application on the basis of immigration status is discrimination under the Human Rights Act in your province, which may protect applicants on the basis of ancestry, place of origin, citizenship and so forth. In 2009, the research group Toronto’s Centre for Equality Rights in Accommodation conducted a phone survey of landlords in that city to collect data about discrimination in rental housing. Surveyors posed as persons of protected classes, like single moms or ethnic minorities. The study’s director reported to the government that a large number of recent immigrants are routinely turned down for rental housing because of their lack of credit history or references. The Centre advocated for more enforcement by Ontario’s Human Rights Commission to avoid that situation. When verifying discrimination claims, investigators often pose as applicants to find out what a particular landlord is willing to say or do. It is crucial for landlords to remain professional at all times, and not to make inappropriate statements to applicants. A landlord does have the right to screen tenants and verify income worthiness before agreeing to rent to an individual, so long as the landlords is treating all applicants the same. With every tenant, there is a risk of late payment of rent. Once a tenant has gotten away with one late payment, paying late may become habitual. One way to avoid late payments and resulting delinquencies is to Report Tenant Pay Habits. This system sets the stage by informing an applicant that the landlord will report every late rent payment to Tenant Verification Service, a credit reporting agency. The tenants who regularly pay on time will be rewarded with a Certificate of Satisfactory Tenancy that they can show to future landlords, allowing them the opportunity to build credit. Next post: Rental Market Report: Which Province Has the Lowest Rents in Canada?